It’s a dreamy time of year. Many homeowners are scrolling through the Internet right now fantasizing about new kitchens, new bathrooms, solar panels, wind, maybe geo-thermal or insulation upgrades for a more comfortable and cozy home. You may be weighing improvements and repairs for your current location, versus finally selling your home after a long sleepy recession. This year will be different; after all it’s 2016. If you’re one of the many that will move forward with a property adjustment, whether making home improvements or relocating, verifying credentials of the professionals you’re considering to hire, is vital. Across the nation, contracting boards are disclosing to their citizens the importance of working with individuals with a professional state license. The slump in our economy is one of many reasons desperate individuals choose not to be legal and skirt the necessary licensing and credentials necessary to be a qualified professional. It’s possible these unlicensed contractors may simply be lazy. Or they may enjoy taking advantage of a situation at your expense. May be they’re a friend of a friend, and you simply want to help them out. Good golly - what a recipe for disaster! Working with a qualified professional is just the start to ensure quality work for your biggest investment: your property - your real estate. Your home is where you start and end your day. Before handing the keys of your biggest investment to someone you want to hire, ask them for 3-5 referrals and check out their credentials. Leafkey was created for communities and consumers that want to work with reputable professionals in the built environment. We call them Eco Experts. Skilled professionals typically have several credentials. Our work is to verify these credentials and help citizens find Eco Experts within a 5-500 mile radius of their zip code. We’re a family-owned business with our own homes and investment properties and understand the necessity and desire to protect our real estate. If you need help with finding qualified professionals in your community - let us know, we would love to help. After all, your good work can enhance and improve the market value of your home and community. That’s a blog for another time. You may have a glory or horror story to share about working with professionals in the built environment that we can share. 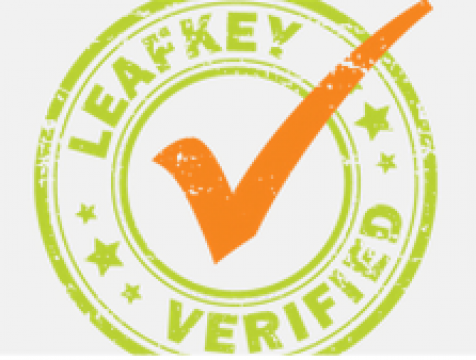 Contact us anytime at info@leafkey.com. We wish you all the best of success in your 2016 endeavors. Live Large ~ Live Sustainably!